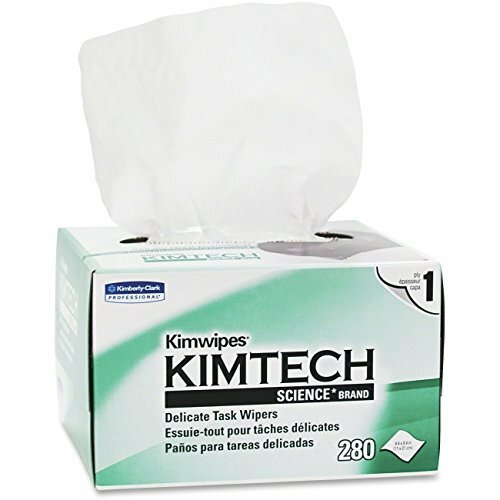 KIMTECH SCIENCE* KIMWIPES* Delicate Task Wiper is a light duty wiper that can handle a variety of delicate tasks. Easily wipes up liquid and dust. Anti-static dispensing reduces lint and electrostatic discharge, controls usage and portability reduces waste. Nonabrasive, low-linting and low-extractable wipers for delicate task wiping. Contains LINTGUARD , an anti-static polyshield that reduces lint and electrostatic discharge. One-ply. Convenient POP-UP box. White. 280 wipes per pack. Six packs included. 6/280. 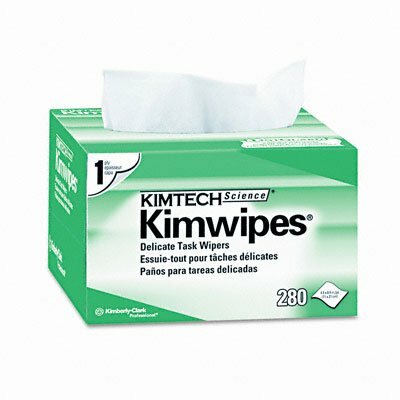 1680 wipes. Nonabrasive, low-linting and low-extractable wipers. Perfect for light cleaning tasks in any lab environment. Brand: Udderly Clean | Manufacturer: Eurow & O'Reilly Corp. The easy to use stainless steel sink cleaner: your new cloth will have you wiping away streaks and watermarks in one smooth and easy action. No matter where in the house your cleaning duties take you, applying a thorough stainless steel polish has never required less effort, and yielded such dazzling results at the same time. All from a natural stainless steel cleaner that doesn't leave odors in the home for hours afterwards like spray on cleaners and polishes. 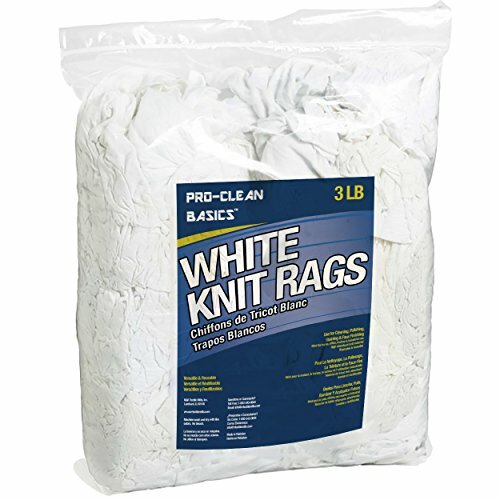 Pro-clean BASICS white T-Shirt knits, 3lb. Bag. Absorbent, lint free cotton. 3 pound bag. EvridWear Dusting Gloves makes cleaning fun and easy! High performance cleaning gloves are made from super soft microfiber, which can instantly trap dirt, dust, allergens, pet hair and more. No liquids, sprays or harmful chemicals are needed so your hands stay soft, clean and germ free. Five-finger type can help you clean those hard-to-reach places and ideal for detailing nooks, crannies and corners. You can dust lamps, blinds, TV, microwave and furniture, and also perfect to clean windows, mirrors, and bathrooms. Another use of the dusting gloves is to clean your car. They are great for cleaning the interior, exterior and also the wheels. They can also be used for dusting guitars and other instruments. They are scratch-free, lint-free and safe to use on any surface. The gloves can stretch to fit any hands size and suitable for both right and left hands, for kids, men and women. EvridWear is a responsible brand who pursues to maximize customer satisfaction, GREATER QUALITY, LOWER PRICE! If you have any question, please feel free to contact us. ENVIRONMENTALLY SAFE - No Liquids, Sprays or Harmful Chemicals needed. Safe to use on any surface. CAR, TRUCK, INDUSTRIAL CLEANING - Scratch-free, lint-free and swirl-free, easy cleaning inside your car. Industrial use keeping shiny parts clean and smudge proof. If we may, would you care for some extraordinary cleaning cloths? We created them just for you, so that your cleaning task can be completed to your satisfaction as quickly and easily as possible. They are infused with SUPER ABSORBENT properties to CAPTURE DUST and DIRT. Can be used on virtually ALL HARD SURFACES and you need not fear of any scratches, but do take care not to use on hot surfaces. If you like, you can even clean WITHOUT CHEMICALS. LINT and STREAK FREE, CLEAN, DRY and POLISH. If we may be so bold, these cloths are best used for virtually all auto, automotive, garage, household, kitchen, bathroom, commercial, cleaning related tasks with our without your favorite chemical cleaner. Use for washing, wiping, drying, detailing, polishing, dusting, the interior and exterior of vehicles (cars, trucks, boats, motorcycles, rvs, vans, suvs, etc. ), glass, windows, mirrors, stainless steel, television screens, computer screens, tablets, mobile phones, eyeglasses, sunglasses, lenses and more. Use as a rag for cleaning dirt, oil, grime, and other contaminants off your tools or garage floor, wet or dry, with or without water. Please hand or machine wash in warm water with like colors and air dry or dry on the low setting. We ask you not use fabric softener, bleach, dryer sheets. 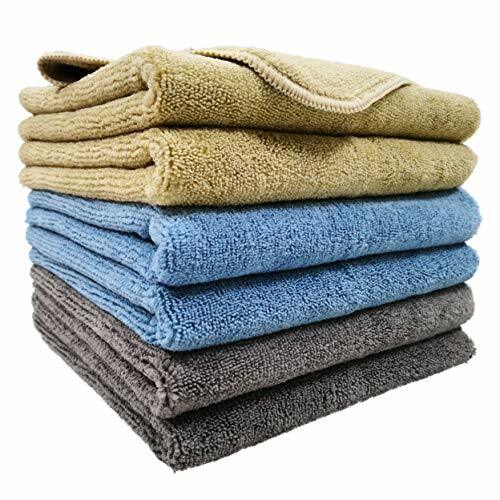 Truly an all-purpose, multi-surface towel, now you can dust, scrub, clean, polish, and dry compact objects and areas effectively. 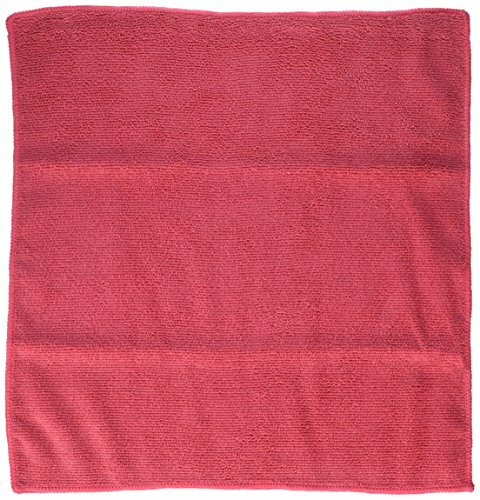 Premium microfiber designed for cleaning pros, this towel was made to be thicker, softer, and more absorbent than any ordinary microfiber its size. Sustainable performance- our towels are lint free and made to last hundreds of washings without losing their effectiveness. Be assured by our 360 day 100% satisfaction guarantee. If you have an issue, just contact us and we'll make sure you're happy! Start making your life easier, ORDER YOURS TODAY! 280 wipes per pack. 12 packs included. 12/280. 3360 wipes. Get safe, chemical free cleaning with high quality microfiber! 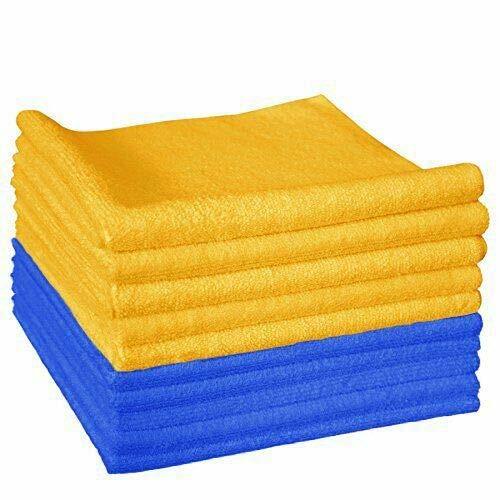 DRI Professional Grade Microfiber Cleaning Cloths are the most efficient cleaning cloths on the market. Microfiber is incredibly absorbent, and picks up dirt and stains without the use of harsh chemicals. The unique hydrophilic fibers pull water in, which is stored in tiny air pockets so that the cloth dries instantly as air passes through it. Quick drying action prevents the buildup of bacteria and microbes. 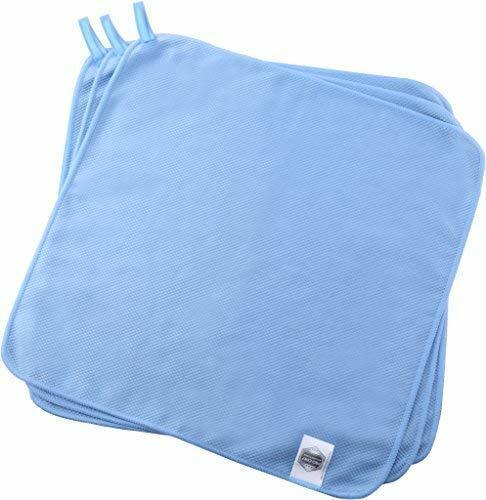 These cloths are large enough to wipe up all spills, measuring 16 inches by 16 inches and while other towels on the market are thin and wear easily, DRI Professional Grade Microfiber Cleaning Cloths are 300 gsm, which means they are thicker and sturdier. Made with commercial-grade microfiber with bound edges for janitorial, sanitation, institutional cleaning, and industrial use. 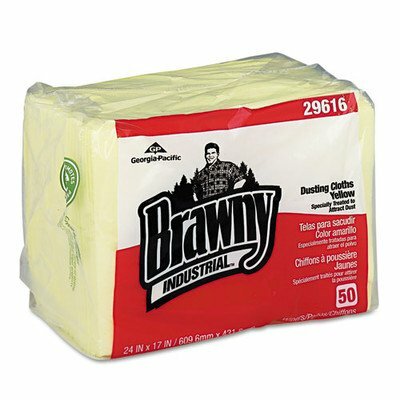 DRI Microfiber Cloths withstand tough use and last throughout heavy cleaning jobs. Machine washable with bleach in cold water, still usable after 100 washes! 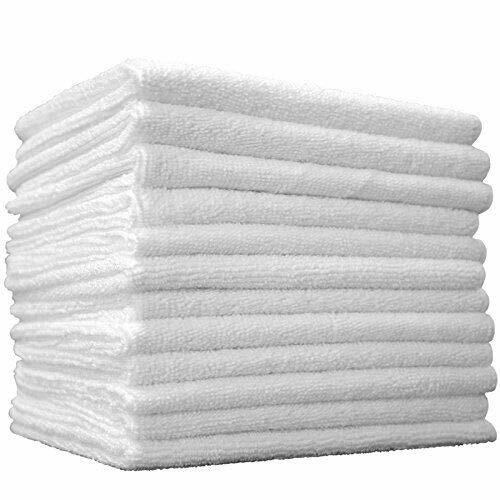 Get rid of inefficient, unhygenic cotton rags and switch to the power of microfiber for your home and institution. 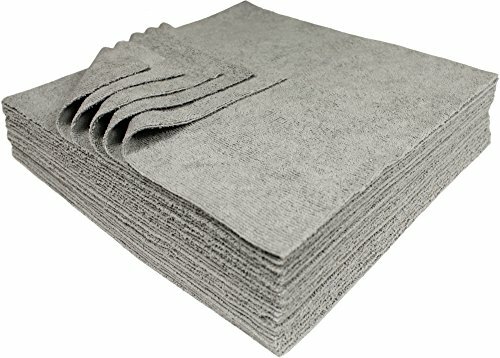 Use microfiber cleaning cloths on kitchen and bathroom counter tops, applicances, mirrors, cabinets, windows and shutters, cars, trucks, RVs, auto interiors, chrome, leather seats, vinyl, electronic screens, hardwood furniture, bikes, toys, laptop computers, deck furniture, patio furniture, and so much more. For delicate surfaces, microfiber can be used to pick up dust and dirt without the use of water. 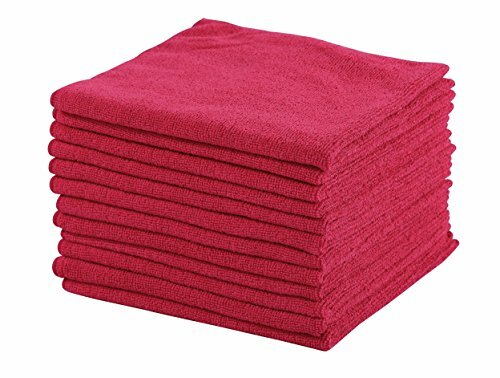 INSTANT ABSORPTION - Professional Grade, Ultra-thick DRI Microfiber cleaning cloths absorb 8 times its weight in water, and picks up liquids better than ordinary cotton cloths. Large 16 inch x 16 inch size allows for more coverage. 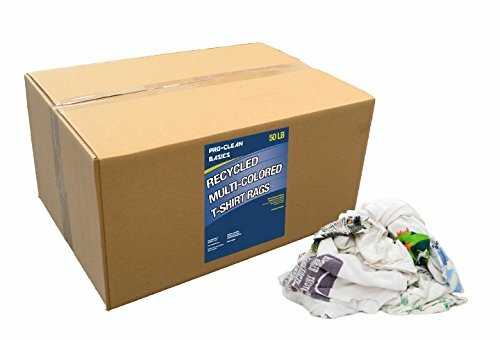 CLEAN WITHOUT CHEMICALS - The unique structure of each fiber lifts off dirt, grease, and oil so you can clean tough stains without harsh chemicals. 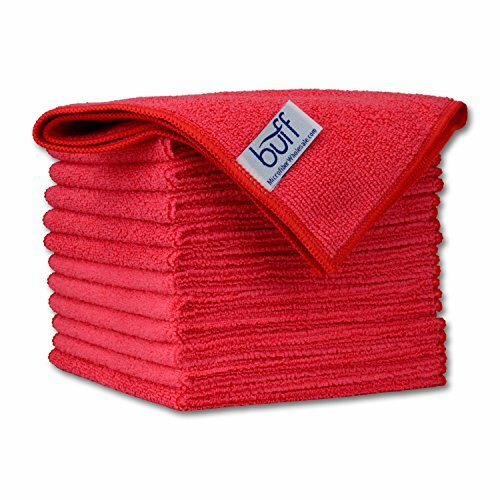 REUSEABLE AND MACHINE WASHABLE - Our 300 gsm, sturdy construction microfiber cloths are so durable, you can just rinse and reuse time and time again. After heavy cleaning jobs, just throw them in the laundry machine to make them good as new. DRI Cloths can be washed up to 100 times, and unlike other leading brands, will not fray or fall apart in the wash.
SCRATCH-FREE, STREAK-FREE - DRI Microfiber cleaning cloths are safe on delicate surfaces without leaving lint or streaks behind, and can clean even without the use of water. 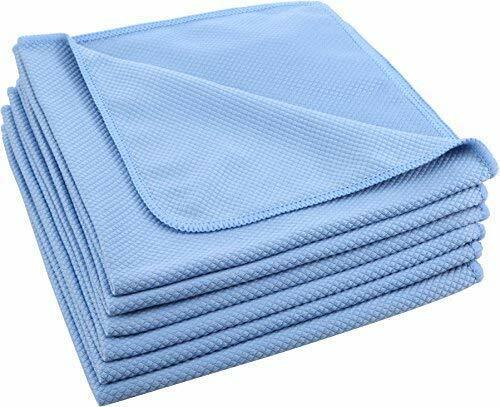 GREAT FOR AUTO, KITCHEN, AND BATH CLEANING - These multi-purpose cleaning cloths are perfect for cleaning glass, furniture, car surfaces, kitchen counter tops, floors, tables, appliances, and everything in between! 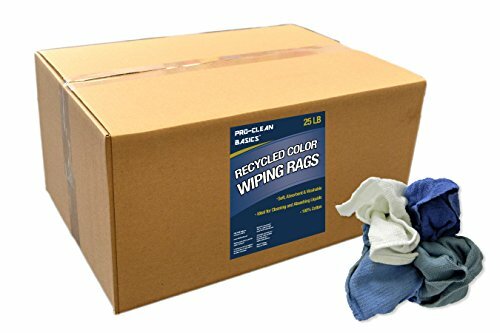 DRI Microfiber Cleaning Cloths come in 6 different colors for color-coded Cleaning.